Greetings from the Pyramids! 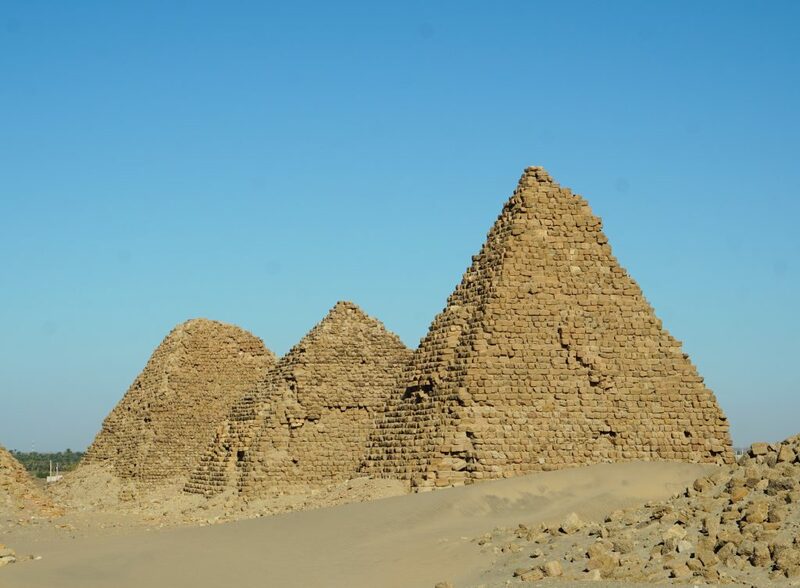 No, no, not the Egyptian pyramids, the Nubian pyramids! I’m in Karima, in Northern Sudan. I’ve been visiting various Nubian archaeological sites, including three sets of pyramids. They are much younger (7th – 3rd c bc), much steeper and much smaller (40 to 60ft tall) than their Giza brothers, but they are still pretty cool. 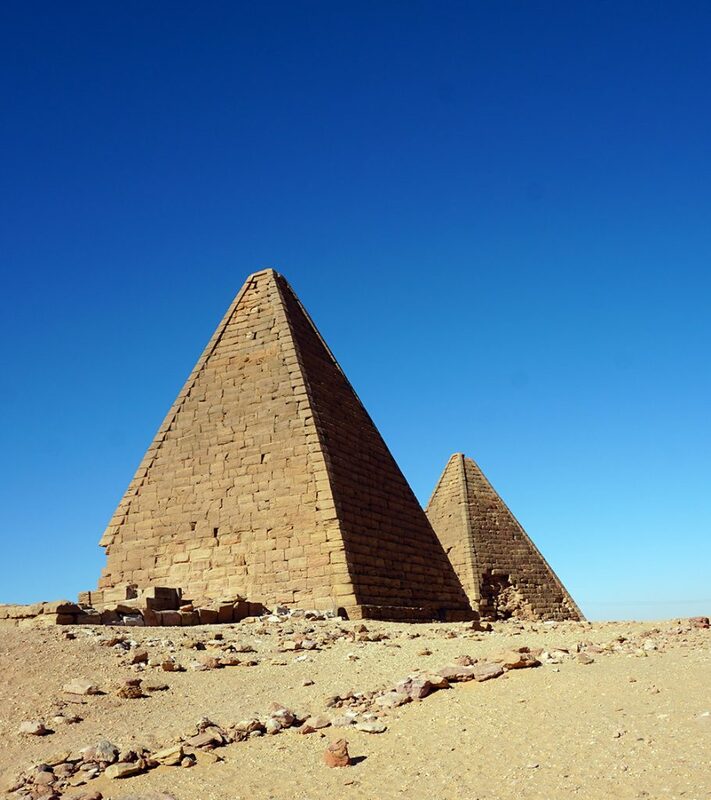 They were build as memorials atop the tombs of Nubian Kings. I’ve been overlanding it from Egypt, along the Nile and across the desert. I am traveling solo, except of course for my guide, my driver, my cook and our loyal Toyota Land Cruiser. Ahem. This part of Sudan was heavily influenced by Ancient Egypt, with many temples built by Egyptian occupiers. But my Nubian guide puts much greater emphasis on the glorious 25th Dynasty, when the Nubian Kings conquered all of Egypt and ruled as Pharaohs. Ha!